I want to preface this first in a series I'm going to call "my favourite gambles" with this warning: gambling in Guild Wars 2 is not the best way to make money. Keep that in mind as you read, it's super important! 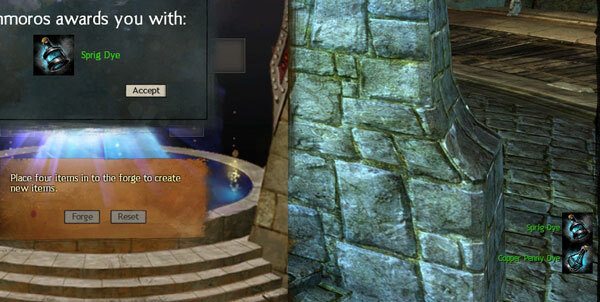 All the same, gambling (and there are quite a few ways to do it in GW2) is good fun! What I want to do is show you cheap ways to gamble. Ways that make it hard to make a loss - even if there's less chance to make a huge gain with these safe bets. The most popularised form of gambling in game is the legendary weapon precursor chase. You get four 75+ exotics or rares (longer odds but cheaper) and feed the mystic forge hoping to get a tasty precursor and net yourself 200 gold or more. It sounds great, alas it's more common to just throw money away, over and over - close to the amount you need to buy that precursor in the first place. The good news stories are heard from nearly everyone who gets a precursor using this method. The bad news stories about 10s or 100s of gold thrown into the forge aren't told by every single person trying. Not until they reach, maybe 500 gold wasted and no precursor. Why gamble? Because the unknown and possibility of a reward generate a rush. It's fun. If you don't and aren't interested, move along! You don't need this advice so much. If you are tempted by the precursor forge hunt, wait, stop and read. You might find small thrills with cool bonuses give you that same rush without emptying your gold reserves. And one of the cheapest gambles is playing with dyes. The simplest way to do this is to stock up on unidentified dyes and see if you can get a celestial or abyss dye or something else tasty like that. This is pretty expensive though at 3 silver per unidentified dye (current value). There was a dip this week as Arenanet accidentally changed the drop rate of unidentifieds but they corrected that this morning. 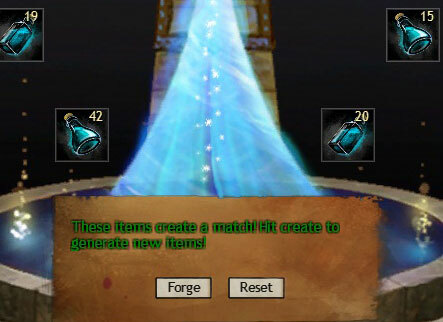 My preferred method involves putting in a buy order for 4 types of cheap (set your own limit here, I opt for no more than 5 or 6 copper per) dye in bulk then combining these in the mystic forge. You can get green (masterwork) dyes from blues at a rate of about 1 in 6. Often these greens (for example GOLD) can pay back the ~10 silver you dropped for 50 of each dye and then some. But what you can also do is just keep going. Stick the what the forge spits out back in. With 50 of each dye I usually end up with one yellow (rare) dye - most recently Pumpkin and Cocoa. You can go 'on a run' if you're lucky! I tend not to think of this as a money spinner, although with luck it would be, because luck is something I like to avoid when investing and trying to make money. It's erratic and unreliable (by nature). 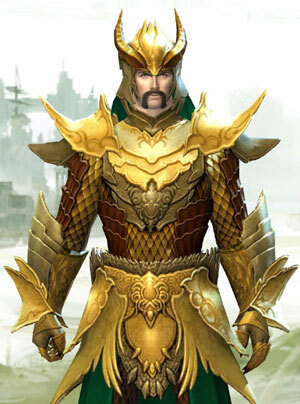 BUT what I like about this little gamble is that if I learn each unknown dye and stick those I know into the forge, I expand my burgeoning dye collection and so open up new avenues to prettification for my warrior and mesmer. It's also a beastly way to get tons of colourful options for a new alt at a fraction of the price (and effort) of hunting the colours you want. If you have a gambling urge, try it out. And let us know what kind of precious, valuable dye you stumble across! 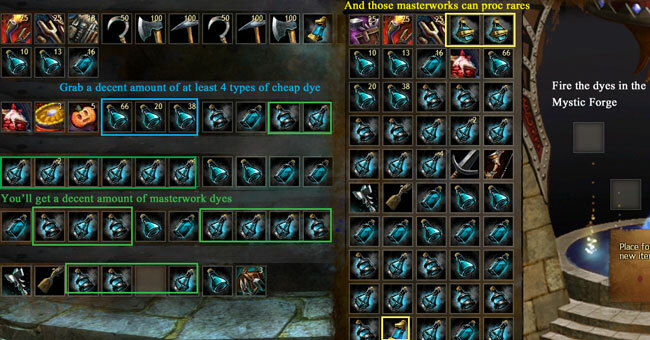 When the dye dip started i stocked up on 250 dyes, hoping I would get that cool looking abyss dye. But as expected, I didnt get it, and then, suddenly today, it just randomly dropped for me. Also, people say that magic find doesnt work with dyes, it actually does. try opening 100 dyes with a character that has around 120% MF and a character who doesnt have anything, and see the difference in golds. hey there, arenant just stated 2 days ago that mf really only affects mob kills and nothing else, no salvage, no bags and so no dyes sadly.. just fyi. Just tried, and oh boy is it addicting. Not only a great way to fill up my collection but with a little luck I can get my money back, and then some! During the dip of unidentified dyes i put buy orders on abyss dyes for 3g30s I got 5 of em and I've just sold the last one of em for 5g60s. Almost 8 Gold profit after fees. BAM! Is this what is causing so many dyes to have spiked in the last day?? How long did it take you to fill your 5-6c orders? And to the anon above you too - I think the rates I was getting were down to the increased rate in unidentified dye drops. Right now things are climbing so you could probably increase the 5 - 6c order limit.